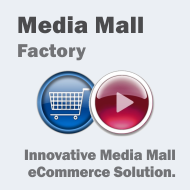 Media Mall Factory is a powerful solution to manage the distribution of online media files that can handle third party sellers or artists publishing their media or downloadable goods. 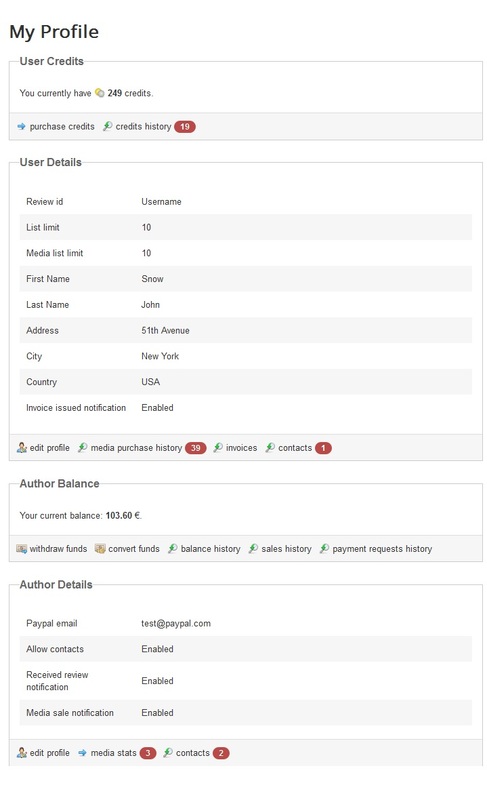 Having a built-in Credit System, authors can earn money from their sale and your website can keep a certain percent. 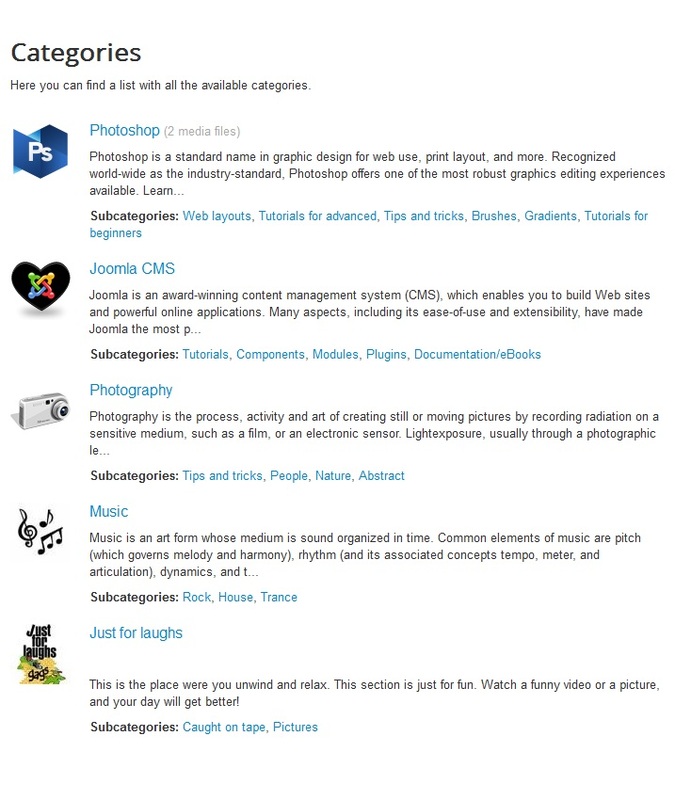 Web users can easily build tutorial websites, video and picture packs or music selling websites in just a few clicks. 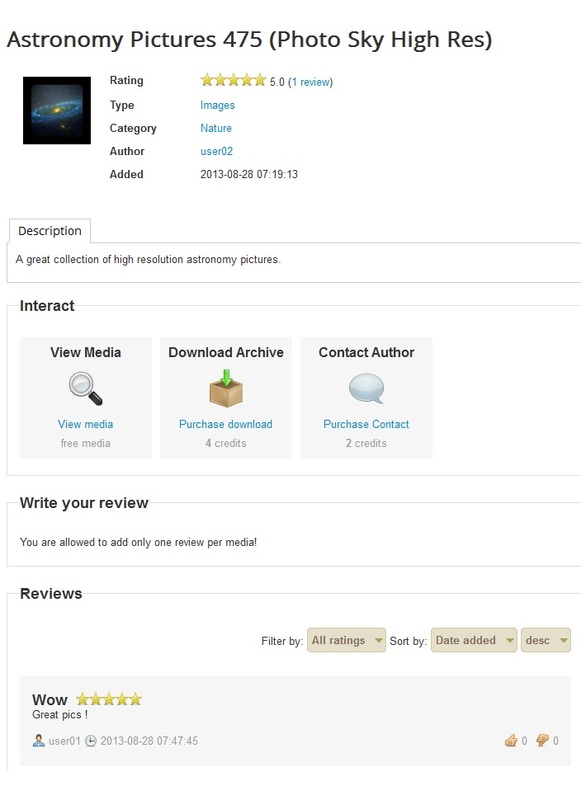 media Mall Factory 4.2.8 released on November 7, 2018.
media Mall Factory 4.2.7 released on October 2, 2018. 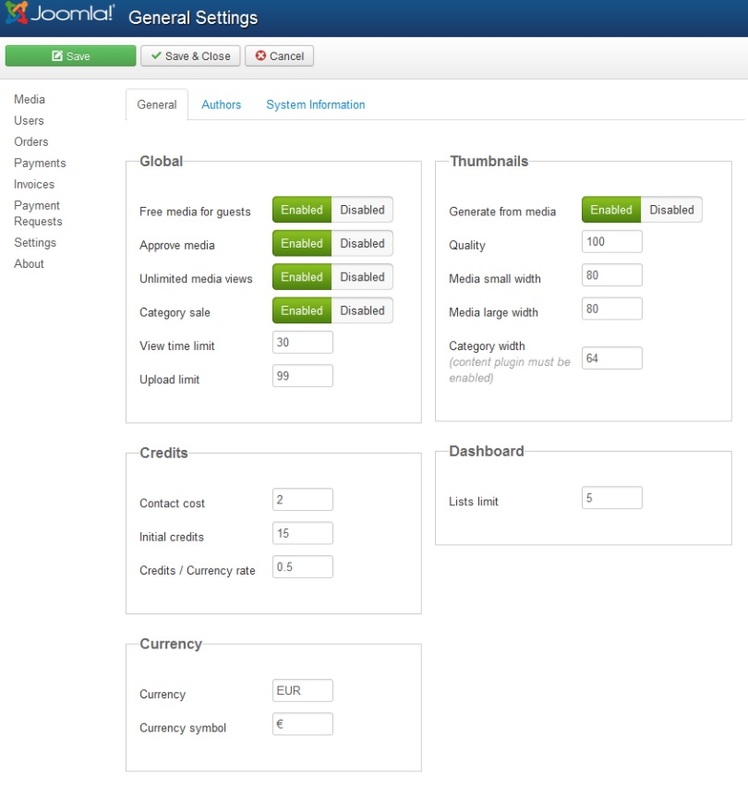 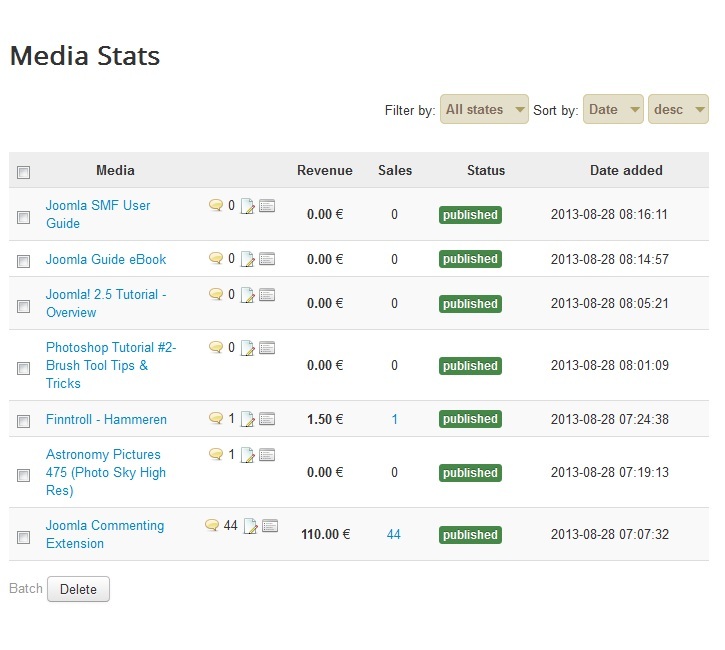 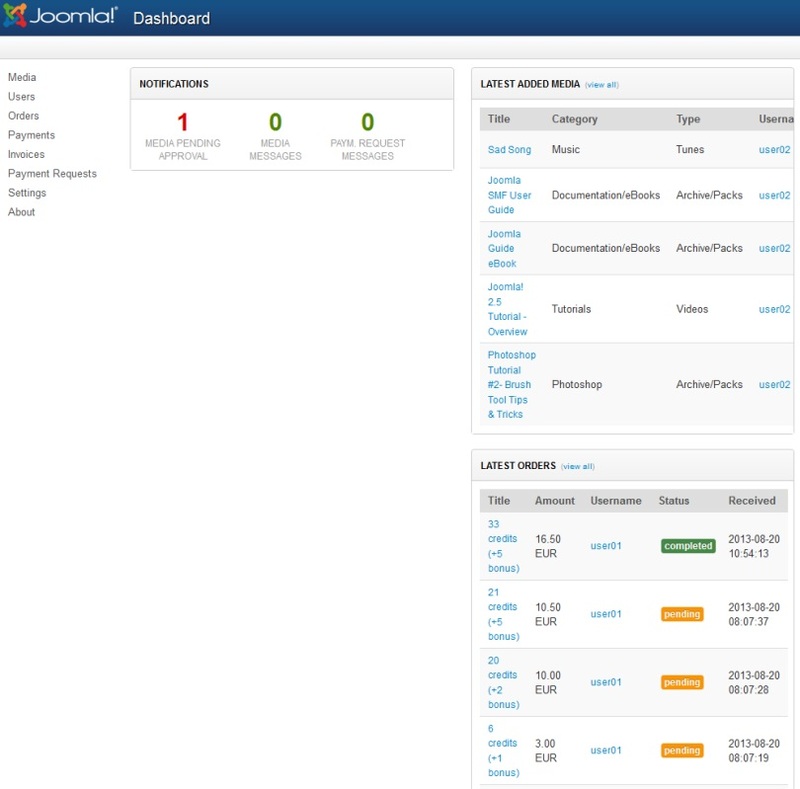 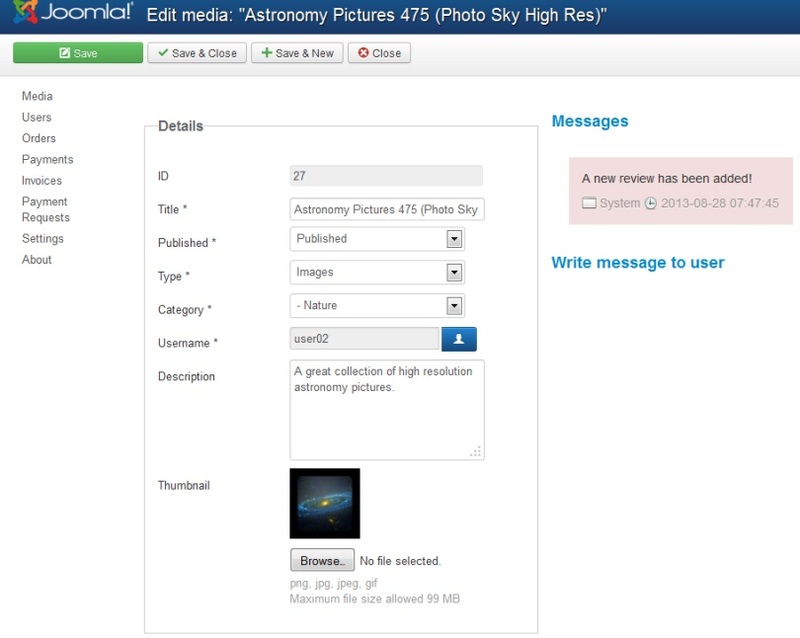 New feature: Pending Media module for the site administrator. 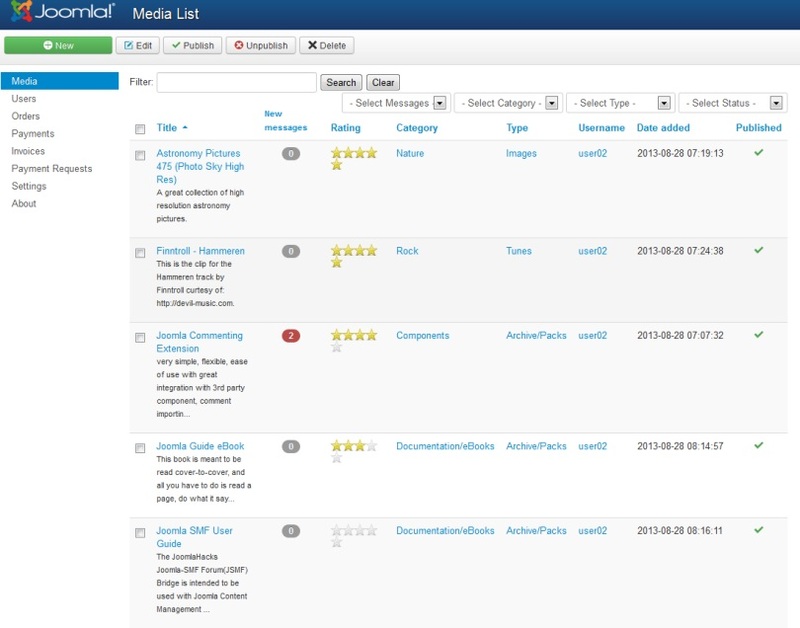 media Mall Factory 4.2.6 released on May 22, 2018. 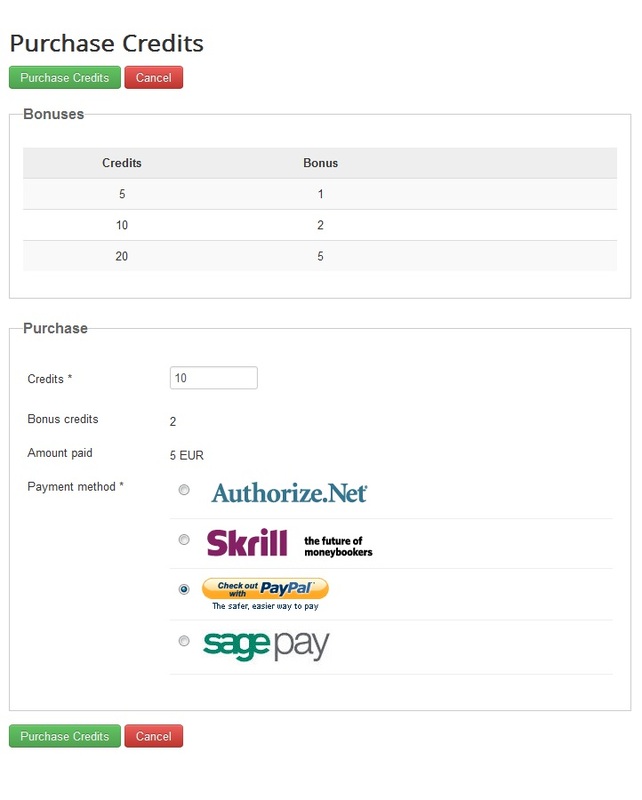 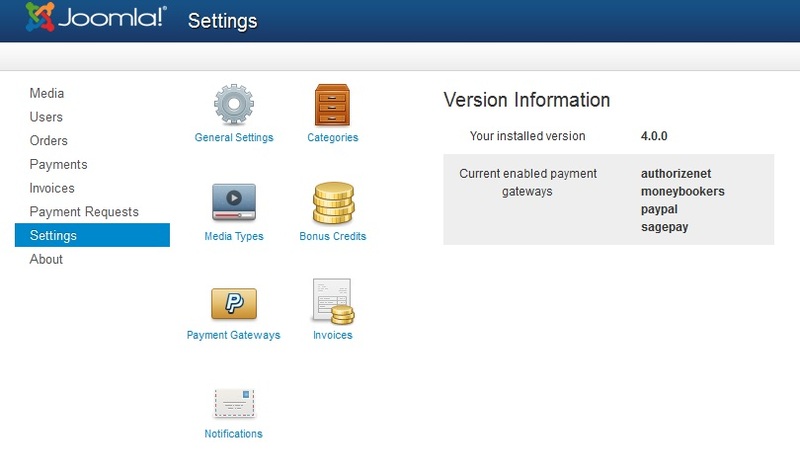 New feature: Administrator Payment Requests module. 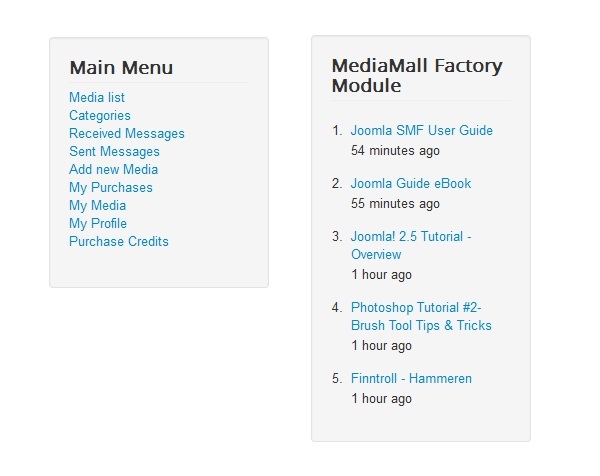 media Mall Factory 1.0.0 released on April 23, 2009. 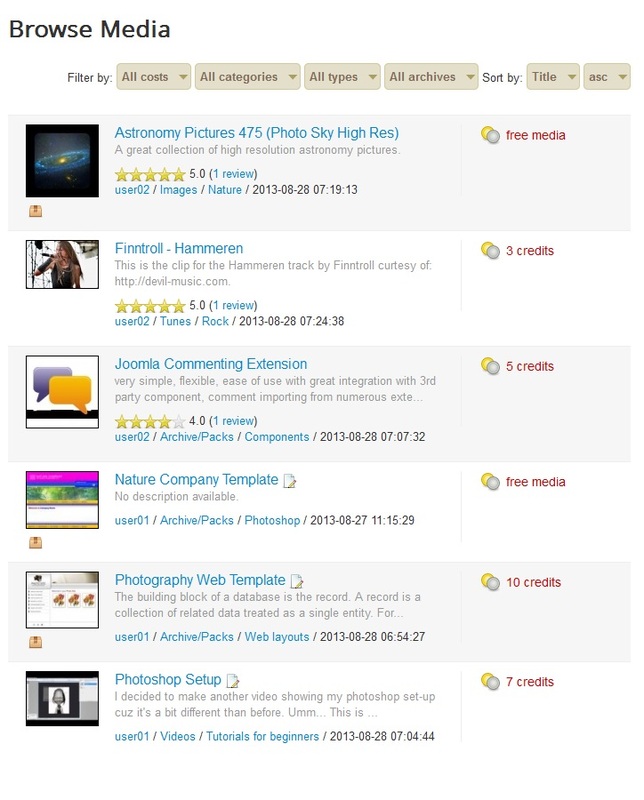 Screenshots are representing version 4.0.0 of Media Mall Factory.